Modular kitchen has revolutionized interior dcor of the house. This kitchen is not only stylish but makes cooking easy also. The kitchen adds a fresh outlook to the style of your homes. Modular kitchen can be designed in a variety of colors like red, orange, blue, green and gold besides natural shades like cedar and birch. 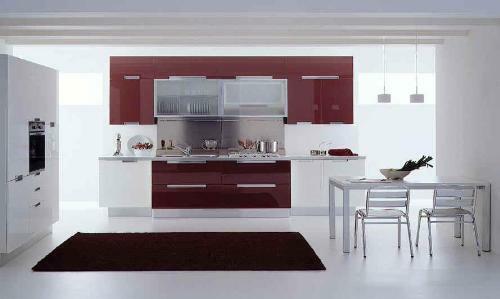 The designs of modular kitchen are famous all over the world. Kitchen cabinets are designed according to the size, length and breadth of the kitchen. Modular kitchen is well organized and provides sufficient storage space. 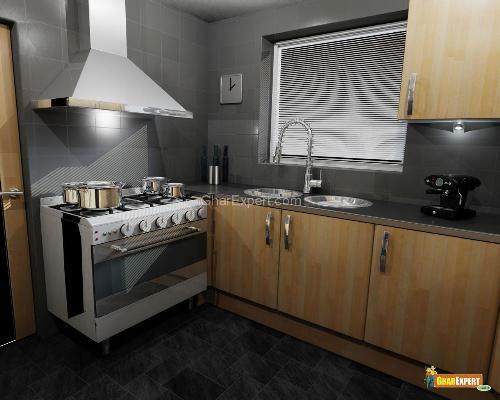 It consists of several modules or units thats why it is called modular kitchen. 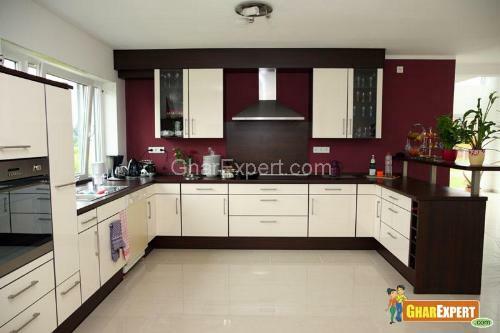 Kitchen cabinets of modular kitchen are durable. The kitchen includes Kitchen cabinets, Kitchen Appliances, cooking range, Kitchen chimneys, Kitchen Countertops, slab work etc. Modular design of kitchen adds to the beauty and functionality of your home. Modular kitchens having straight lines and little beauty are in trend. 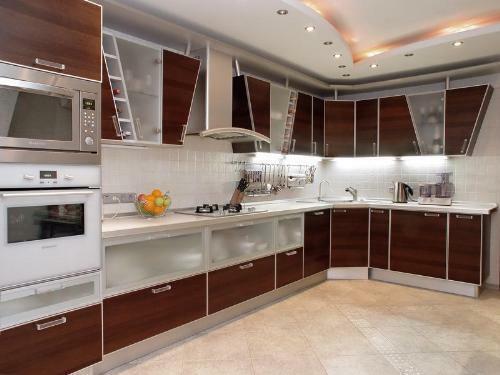 These kitchens have a combination of sink and furniture. Dark wood and cabinets of bright vibrant colors are in trend for modular kitchens. The cabinets are user friendly. These kitchens have beautiful mouldings. 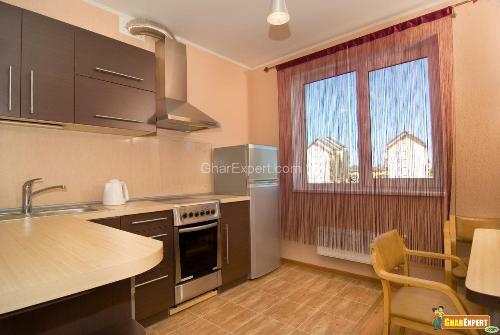 The kitchens have latest style of doors, cabinets, hardware etc. The front of doors and cabinets should have glass. 1. Dish Washer: All types of dishwashers vary in sizes depending on the place setting and capacity of the dishwasher. There are also different wash and rinse cycle styles. 2. Chimneys: A chimney is used to expel smoke from the kitchen. There are huge array of auto clean chimneys which is widely appreciated in the Indian market. 4. Pull out drawers (Units): These units are easily accessible while working in the kitchen and are used to store multiple things like food articles, utensils etc. These units are easy to maintain and it depends on the size of unit that how much you can store. 5. Cooking Range: It is one compact unit, which has multiple burners and makes kitchen clutter-free. It provides ease at work while cooking. 6. Shutters: Shutters are in trend these days to easily place kitchen crockery in them. They are durable, reliable and are easy to install and maintain. 7. 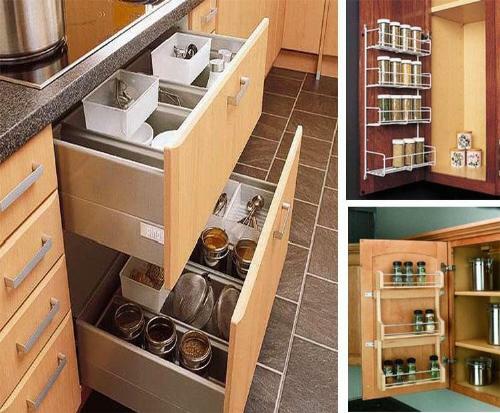 Adjustable Shelves: The shelves have sliding drawers which are used for storing kitchen items. They are durable and within the reach of hands. The shelf has a handle through which we can open and close it easily. 1. The main advantage of modular kitchen is that you can easily carry your cabinets and modules in a box and fit in your new kitchen. 2. It is easy to clean and even you can repair any part of modular kitchen. 3. The kitchen provides clutter-free space to easily work in the area. 4. 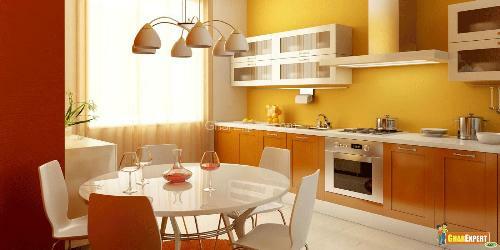 Modular kitchen comes in such a variety of colors and designs that you will surely get one according to your taste. It gives you the liberty to set your kitchen as per your wish. 5. It comes in a ready-to-install pre-fabricated form, which makes its installing extremely convenient. 6. Modular kitchen has a fashionable look, which lends a great appeal to your interior dcor.